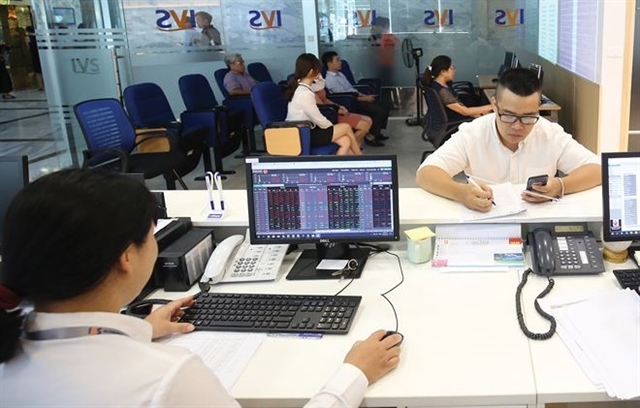 HÀ NỘI — Vietnamese shares were quiet on Thursday morning as investors remained cautious about the current market conditions. The benchmark VN-Index on the Hồ Chí Minh Stock Exchange inched up 0.13 per cent to close at 983.23 points. Low market sentiment resulted in modest trading liquidity with more than 64 million shares being traded on the southern stock exchange, worth VNĐ1.18 trillion (US$50.6 million). On the Hà Nội Stock Exchange, the HNX-Index increased by 0.10 per cent to end at 107.53 points. Nearly 12 million shares were traded on the northern bourse, worth VNĐ154 billion.